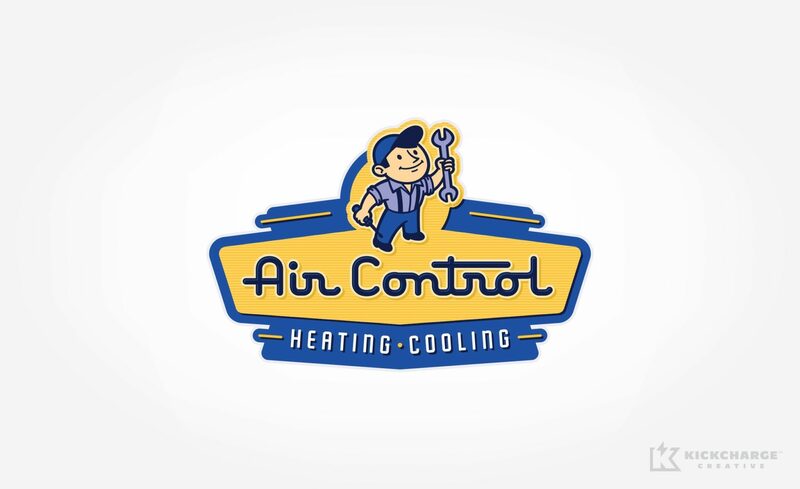 Air Control—an Arkansas-based heating and cooling contractor—had established a sterling reputation throughout their community for honesty, integrity and unparalleled customer service. Yet their brand failed to reflect their values or excellence. It just didn’t set them apart in a meaningful way. When they contacted us, we were honored for the opportunity to collaborate with such a reputable organization. We began by looking at their core values of honesty, integrity and customer service—attributes that most consumers think to belong to a bygone era. Therefore, we made the creative decision to accentuate those “old time” values by giving their brand a retro, 1950’s look and feel. It instantly takes consumers back to a perceived “simpler” time when honesty, integrity and trust were of paramount importance. 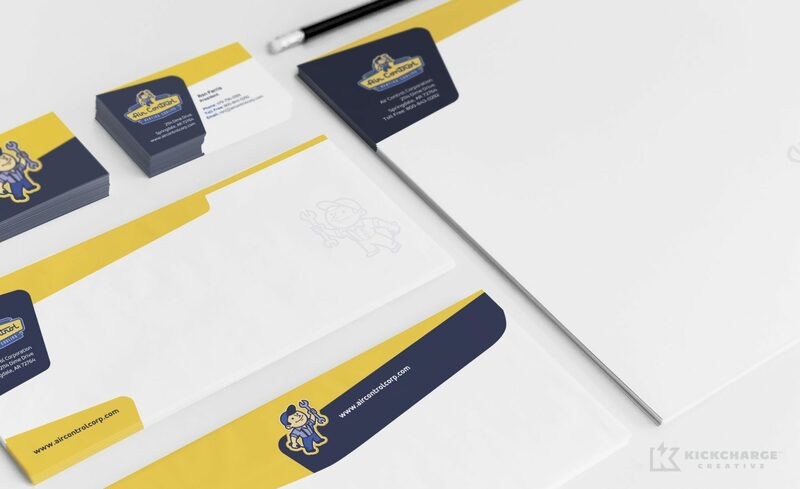 Once the brand was developed, we integrated it on the design of the letterhead, envelope, business cards and fleet of vehicles. 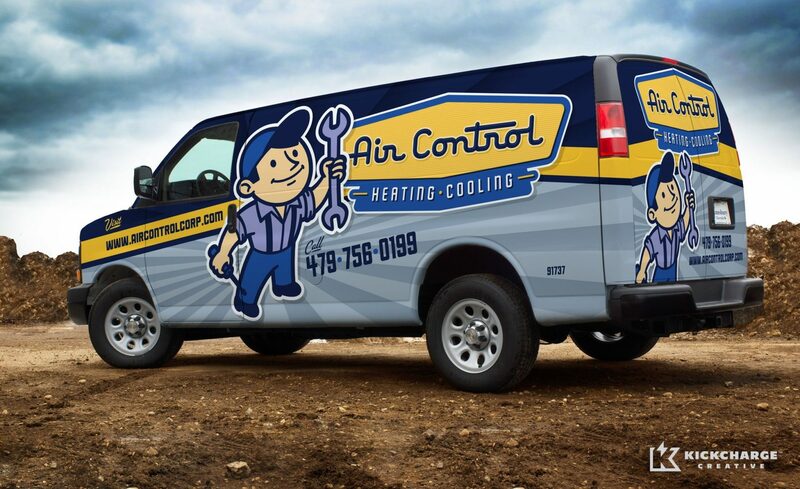 Air Control’s new brand identity instantly made an impression throughout their community and with their customer base. The vehicle wraps were particularly impactful, serving as moving billboards traveling throughout northwest Arkansas. To complete our rebrand, we created a digital presence that brought that same visual impact online. 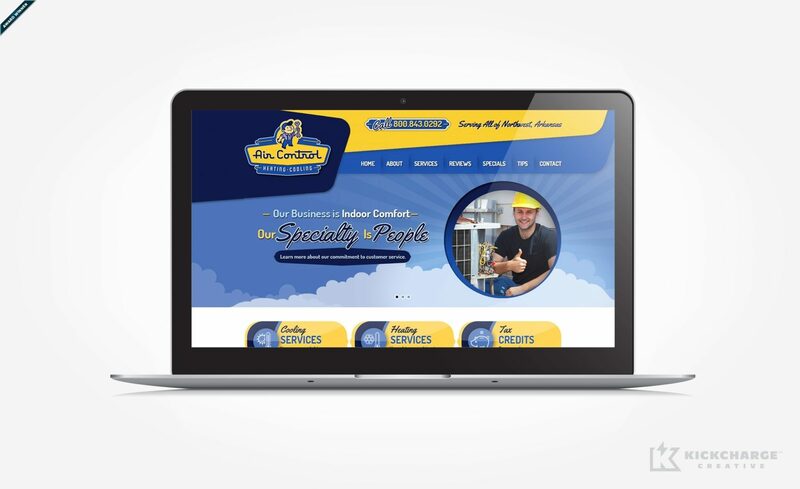 We remade and rewrote their website to focus on their customer service and values, which set them apart in a crowded marketplace. It’s important for brands to “look the part” and we were able to successfully accomplish this with Air Control. You only get one chance to make a first impression…which is why a powerful brand is so essential in today’s marketplace.